Harper has never been worried about falling in love, something she is skeptical even exists. But everything changes when Logan moves to town, and to Harper’s shock, the two tumble into an intense romance. It’s everything she never thought she wanted. Then she meets Logan’s twin brother, Daemon, who was expelled from his last school. 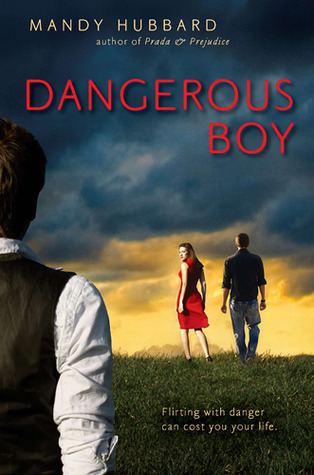 True, he’s a bad boy, but Harper can’t shake the feeling that there’s something deeply sinister about him–something dangerous. When Logan starts pulling away, Harper is convinced that Daemon’s shadowy past is the wedge being driven between them. But by the time she uncovers the truth, it may be too late. I’m going to start out by saying that I didn’t read any reviews or descriptions going into this book. All I had is the info from the back cover, and I had no idea what to expect. Even though, I had the book figured out pretty fast, but that didn’t stop me from enjoying it. A lot. The book starts out with our heroine on a date, hanging out with a few of her friends. Logan is the new kid in town, and he’s taken by Harper. Everything seems to be going great until Harper forgets her purse in Logan’s truck and has to go to his house to pick it up. What she finds there is a bit more than she can handle. She meets Logan’s brother Daemon and he is of the scary sort. Then, everything changes. Harper is an interesting character. She lost her mother to her mother’s crazy ways, so Harper stays cautious, making sure her life is safe. Logan works on getting her out of her little shell, taking her list of ten things she’s afraid of and making it into ten things she has to do. Harper grows as a character tremendously. She becomes a stronger character, and fights to become the person she wants to be. Logan is an interesting character, and so is Daemon. I enjoyed watching Mandy creating these two in contrast because they’re so different. I also really enjoyed the secondary characters and their development. Harper’s cousin was a fun addition, so was Harper’s best friend, and B was one of my favorites! Overall, this book was on intense ride. Mandy makes this story so real, you fell like glancing over your shoulder as you walk down the street. This book was definitely worth the read! It comes out August 30th!